We all want to save on our car insurance and get our rates as cheap as possible. Why pay more when you don’t have to? We talk a lot here on the blog about car insurance and different tips and tricks for getting the best coverage and helping you understand what this world of auto insurance is all about. 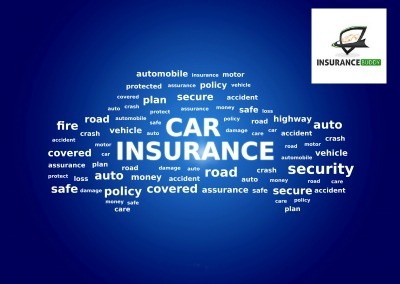 In this post, let’s do an overview of some of our top tips to get the best car insurance rates, something that is on the radar for most if not all of us. This is a small device that monitors your driving in order to offer insurers a more detailed and accurate picture of your driving habits and needs. Depending on how much you drive and even the time of day you normally drive, you can leverage usage based insurance to get your rates lower. Some insurance providers will even offer you a discount just because you have installed the device. Learn more here. Back in 2016 the Ontario government mandated that all insurance providers in our province offer drivers a discount for having winter tires installed on their cars. You can generally save about 5% or so, but this depends on the provider. Learn more here. Having a car theft prevention device can help to lower your rates – just be sure that it is an approved deterrent device. (More on preventing car theft here). Keeping your car properly maintained is an important part of safety out on the road. You want to do everything you can to avoid any sort of accident or incident with your car. Follow these tips for what you can do in the winter, spring, summer and autumn. Pay close attention to vehicle safety considerations such as headlights, turn signal lights and brakes, to name a few. Learn more about vehicle safety here. In the market for a new car? Factor insurance rates in to your decision making process. We mentioned the importance of vehicle safety above. Keep this in mind when purchasing a new car. A car with good safety features can result in lower insurance premiums since these types of cars get in fewer accidents. This is just one of the ways that the car you drive affects your rates. Other factors such as rate of vehicle theft and replacements or repair costs play a role too. Learn more here. Insurers favour drivers who don’t get into accidents or receive any driving convictions and pay their premiums on time with the best car insurance rates. We mentioned being a good driver above, but this bears repeating, especially as it comes to the high risk driver category. It’s absolutely crucial to ditch aggressive driving behaviours like speeding if you want cheap car insurance. The cleaner your driving record, the lower your rates. The last thing you want is to be deemed a high risk driver. Get some more tips here for avoiding the high risk driver label. If you’re planning a move and have some options about where you will go, you can add car insurance rates to your pros and cons list when choosing your new location. Where you live affects rates. Learn more here. It’s important to research and comparison shop when you’re looking to save on your car insurance. Not all providers are created equal and neither are their rates. Be sure to do plenty of research and get many quotes from different companies. You can also use a broker like us to help streamline the comparison of different providers. If you need both home and car insurance, look into getting them both from one provider. Many insurers will offer a discount for doing so. If you have any questions about any of the above strategies for saving money on your car insurance, please don’t hesitate to get in touch with one of our team members. We’re here to help you cut costs on your insurance, car or otherwise! If you’re ready to start your comparison shopping by getting a quote, head over here.